Between the holiday, the end of the television season, and the fact that it’s now basically summertime, the Simpsons had a pretty sparse week on-line. All those things also mean that it’s time for my annual solicitation for guest posts. If you’ve got something you’d like to say about the show, send it in. We accept rants, cranky letters to the editor that end with “I am not a nut”, well thought out analyses, and just about anything else. Pictures and images are welcome, and we’ll be happy to link back to your Twitter account, blog, or what have you. String a few sentences together, and a tiny slice of internet fame can be yours. You’re certainly welcome to send in something completed, but if all you’ve got is an idea, I’m happy to help you think it through and flesh it out a little. As for this week’s actual links, we’ve got a beaded Bart, memories of Phil Hartman, a Lisa inspired music video, a couple of lists, and one of the junior Murdochs being such a ridiculously callous business executive that I could almost believe he was just trolling poor, hapless Variety. Almost. Anyway, enjoy, and get thee to a keyboard if you want to publish a guest post. What HiFi stereo system is in The Simpsons house? – Stereo geeks take a guess at what kind of system the Simpsons have. Perhaps a Pioneer C-5600? I still hear your voice, you know. It’s one of the most soothing sounds in life. Seriously!!! Hahahaha and not disembodied as I go through my day – though it does happen from time to time. 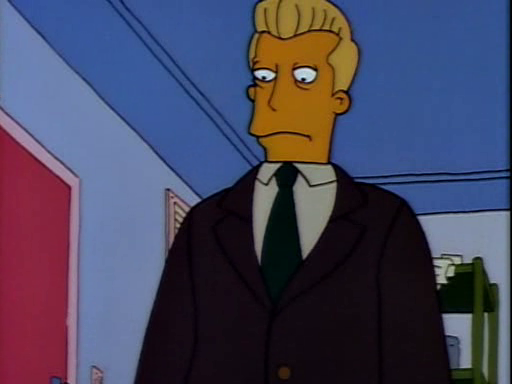 Picture it: I’ll see something funny on the subway, and you’re narrating it like Troy McClure. It just takes the hilarity to a whole new level. since I have been so involved in book clubs recently I thought it would be fun to read the books that Lisa reads on the show, in the order that she reads them. There is a Lisa Simpson book club out there in Tumblr land, but their reading list is missing a few titles, and is also not in chronological order. I’m a little OCD, so I’m rewatching all the episodes from se01ep01 to the current season so I can make a complete list of books read or referenced by Lisa Simpson. I’ve created a group on the Goodreads website (find it here!) but will also post about it and include my screenshots (Yes, I am ridiculously thorough). This post covers seasons 1, 2 and most of season 3. That’s gonna be a lot of reading, and don’t forget that at the end of Season 3 she finally gets a copy of Ethan Frome to call her own. That’s my dog, his name was Bart. Together, we were Bart and Lisa. You know, The Simpsons? He was one of the world’s great dogs and we were inseparable. 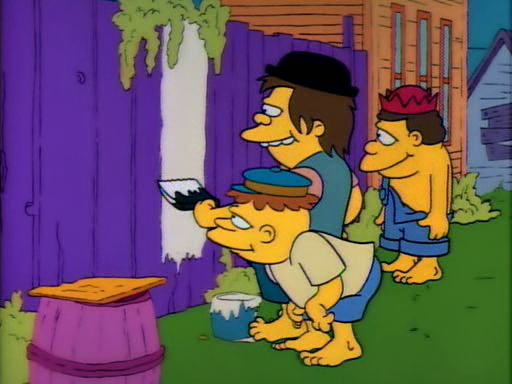 Sexism in Springfield – On the less than stellar dialogue of Tapped Out. but it is only down to The Simpsons that I knew what was expected when Child 3 came home announcing she needed to make a diorama. 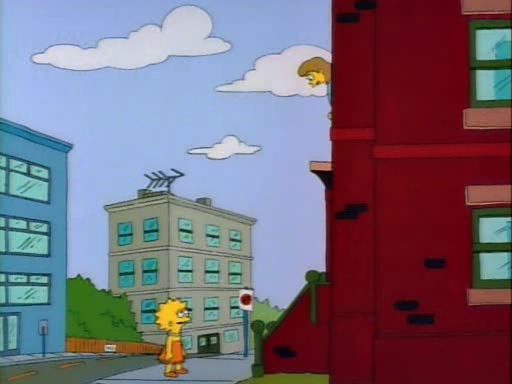 I first heard the word in this context in the episode Lisa’s Rival (1994), where Lisa fears another girl’s diorama will be better than hers and plans to sabotage it. Ooh, I love “filmic product”! Fry, get back to the office, shift some paradigms, revolutionize outside the box! Classic Album Covers Get The Pop-Culture Parody Treatment – You’ll have to scroll through a few, but the Homer/Radiohead one is pretty good. Family guy the quest for stuff – Uh-oh, dedicated Tapped Out players are migrating to Quahog. The Simpsons: 10 Best Episodes Focusing On Minor Characters – Serious pageview whoring on this list, but at least there’s no Zombie Simpsons. 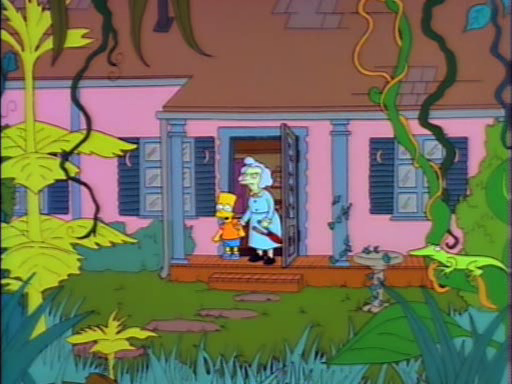 The Simpsons: 10 Greatest Movie Spoofs – Same as above, except there is some Zombie Simpsons. Bonita Pietila, a name familiar to every Simpsons fan, was in Finland this week to accept an award for Expatriate Finn of the Year from the Finland Society. Congratulations! I always assumed that name was Spanish of some extract, guess not. The video’s pretty good, and certainly has a more coherent story than any episode in the last decade. Perler Beads : Bart Simpson – Just what it says. Well done (and the skateboard is a nice touch). You may remember a scene from “The Simpsons”, when Apu (in his role as a volunteer firefighter) is racing to the scene of a fire – only to be halted by a mother duck and her ducklings, lazily strolling across the road. There are likely a few commuters in Eau Claire, Wisconsin, who can appreciate that sentiment. The blinds are always down at Stewart’s Busy Apron in Anaheim, but not to keep out the sun. This is the diner version of that sign on The Simpsons outside the retirement home announcing to visitors, “Thank You for Not Discussing the Outside World,” for here is a museum piece. Duff beer labelled dangerous by Australian Medical Association – Expect more like this as Duff spreads around the globe. 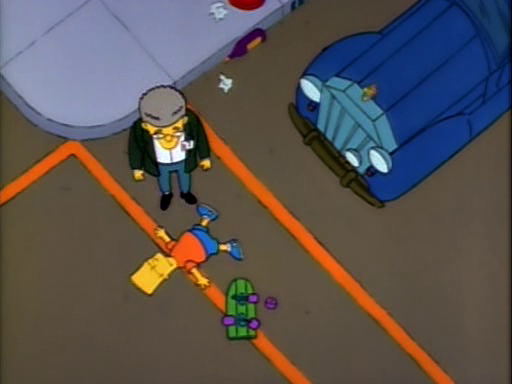 Variety bash team takes on Dave’s obession with The Simpsons – While we’re on the subject of Australia, remember that Simpsons car from a couple of weeks ago? Here’s the team, complete with Duffman and Duffwoman costumes. Aaaah, so that’s how you ruin The Simpsons. #PicOfTheDay – Still of what I assume is some kind of Korean game or lottery show with people dressed as Bart, Marge and Homer. I’d say the weird french fry looking thing on Bart’s head is the oddest part, but the white circles around Homer and Marge’s eyes aren’t far behind. Music From The Simpsons – Spinal Tap – Lotta good YouTube, here, including the immortal, “These go to eleven.”. Round 115: Trilogy of Error vs. The Itchy & Scratchy & Poochie Show – “Trilogy of Error” is possibly the best episode in Season 12, it just happens to not really be funny at all, which is a bit of a handicap if you’re going up against Season 8.
de kooning – groening – Can you see Bart with “woman lips” in that? I kinda can. 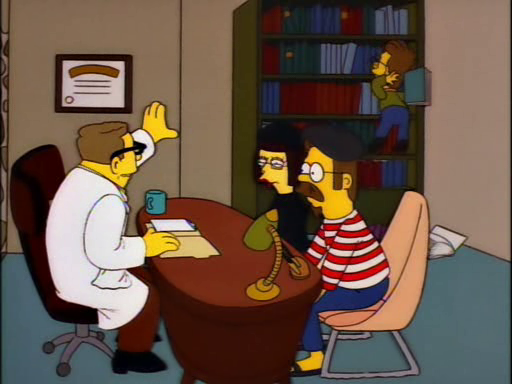 D’OH Boy – I think there’s like four puns in there, and I maybe get two of them. Best Summer Vacation TV Episodes – “Summer of 4 Ft. 2” naturally makes the grade. Bacon Bourbon Pecan Pie & Maple Bacon Ice Cream – Yet more good food with Simpsons YouTube and a .gif of Homer trying to eat pie with his eyes closed. Memorial Day: Which pop culture cookout would you crash? – And speaking of summer themes lists desperate for pageviews, here’s one that manages to list both “Lisa the Vegetarian” and Bad Boys 2.